National Signing Day marked the completion of the 2019 Rice Football recruiting class. 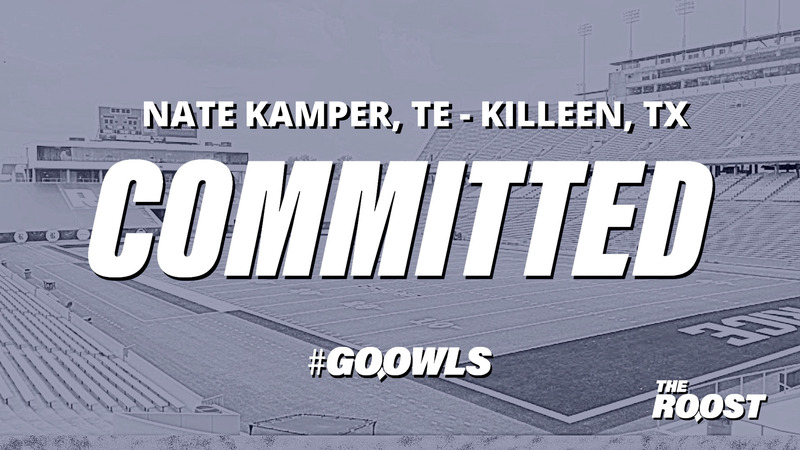 The new Owls will be met with both excitement and expectation. But for this team, and this recruiting class, Bloomgren’s words were much more than platitudes. That’s because the 2019 class marked a significant change. It marked the official tipping point between Year 0 and the heart of the Mike Bloomgren era. The second-year head coach isn’t an excuse maker. He carries himself with a humble confidence, celebrating the good times and vowing to push his staff and his team through the bad. And now this team is his team. “Two-thirds of the team are guys that we brought in,” Bloomgren acknowledged “[the 2018 and 2019 signing classes] knew the expectation when they walked in the door.” For a man who has preached Process in his first year at South Main, the rubber is beginning to meet the road. It’s no secret Bloomgren inherited a blank slate. 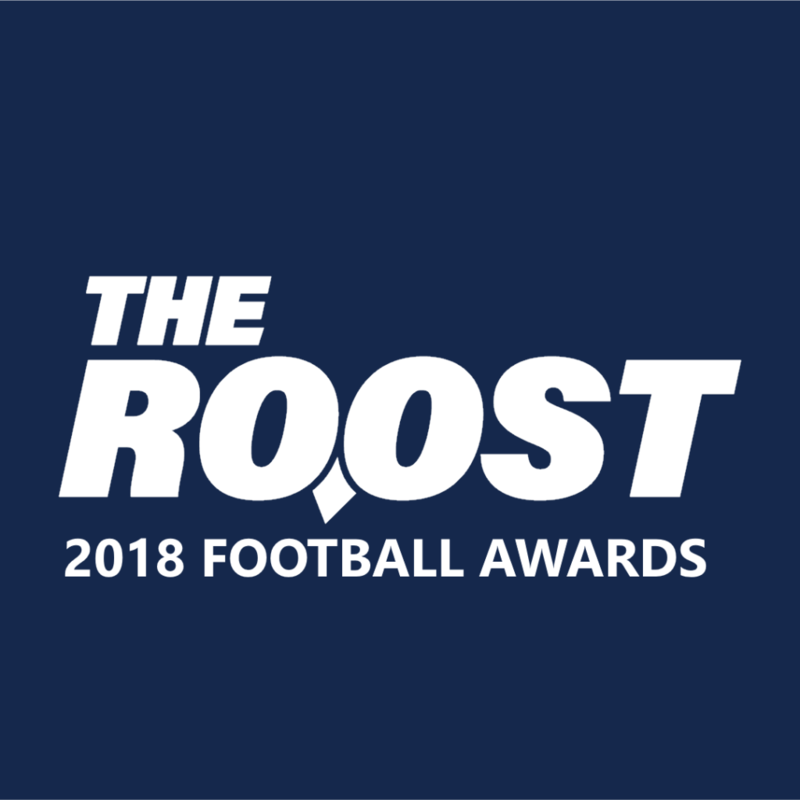 The roster and the direction of the Rice football program were handed to him by athletic director Joe Karlgaard when the first-time head coach was hired away from Stanford following the 2017 season. Bloomgren crafted a plan and set it in motion. A lot has transpired since. Rice opened their 2018 season against Prairie View. After winning that game in thrilling fashion, the Owls put up strong performances in the next two games against Houston and Hawaii, both losses. Both defeats highlighted some glaring issues with the roster Bloomgren inherited — it wasn’t fast enough, strong enough or deep enough, not by a longshot. In the weeks that followed Rice would win just one more game. Injuries ravaged the quarterback room and finding consistent performers on the defensive side of the ball was a weekly challenge. Freshmen, several recruited by Bloomgren in his first signing class at Rice, became stars. Prudy Calderon and Antonio Montero built names for themselves on defense. Wiley Green, Cole Garcia and Juma Otoviano paved the way for the Owls’ climactic send-off win over Old Dominion. Despite the two-win record, there were pieces. There just needed to be more of them. Bloomgren cut to the chase. “We need to raise the ceiling of talent on both sides of the ball all across this program, but we’ve also got to raise the floor.” He said, “We’re doing that right now.” The turnover on the roster has been hard to miss. Rice started six upperclassmen against Old Dominion — two of those will return to the roster in 2019: safety George Nyakwol and defensive tackle Myles Adams. With the youth movement comes both challenge and opportunity. The incoming class has proof the team is going to start whoever earns each spot on Saturday. They’ll be competing for jobs out of the gate, something that can and must push the incumbents to work harder. “I love that we actually have competition. The way it’s supposed to be in college football,” remarked Bloomgren. Competition. Process. Results. 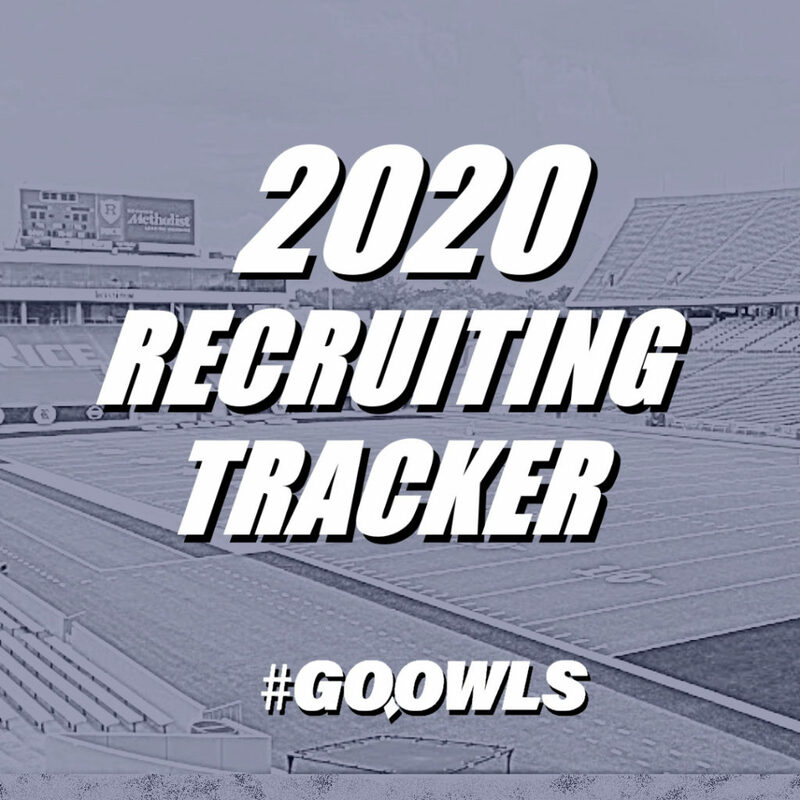 The wheels set in motion more than a year ago will continue to turn as the newest Owls make their way to campus, some in the spring, others in the summer. No matter when they arrive, they’ll each be asked to push themselves and this program further and harder than ever before. For Bloomgren and his staff, the future is now. Rice football added five scholarship players to their ranks on National Signing Day, rounding out the 2019 class with 31 signees. Here’s more on the new Owls. It was a productive National Signing Day for Rice football. 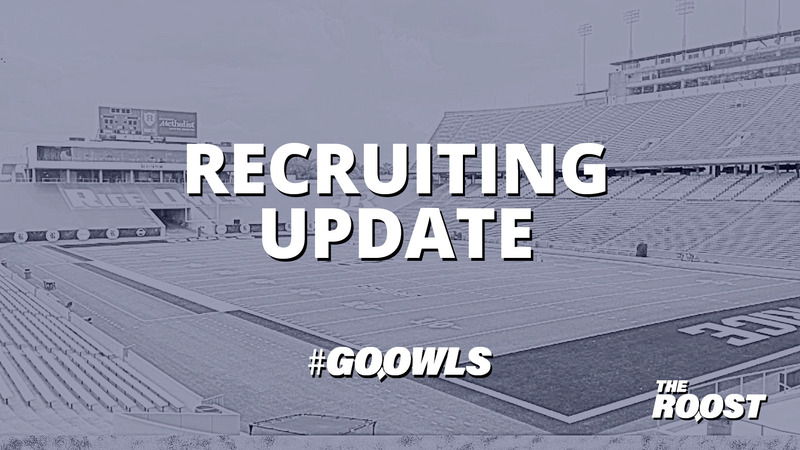 The Owls added five players to their 17 early signing period signees and nine walk ons, bringing their total to 31 members in this class. Rice has room for four more players which could include a few more graduate transfers by the time this team takes the field in the fall. Rice needed to shore up the quarterback room after missing on a signal caller during the early signing period. They added two players, each fulfilling a different purpose. Tom Stewart is the veteran hand who has played D1 football. He’ll have a shot at the starting job, but most importantly, he’ll serve as an insurance policy for Wiley Green and Evan Marshman — both quarterbacks were injured during the 2019 season. Johnson is a different case. The big-bodied dual threat passer is built from a different mold than any other quarterback on the roster. While it’s unlikely he challenges for a starting role in 2019, he’s a developmental prospect for the future with sky-high potential. Adding a few more hard hitters in the defensive front seven was another goal for National Signing Day. The departures of Zach Abercrumbia and Roe Wilkins left depth concerns which needed to be filled up front. De’Braylon Carroll will slide into the mix and compete for playing time this fall. 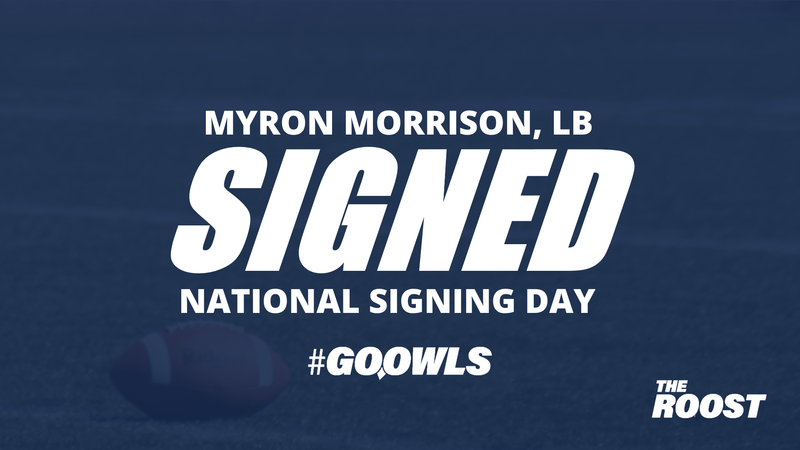 Behind him the Owls added Myron Morrison a hard-hitting linebacker from just outside Houston. 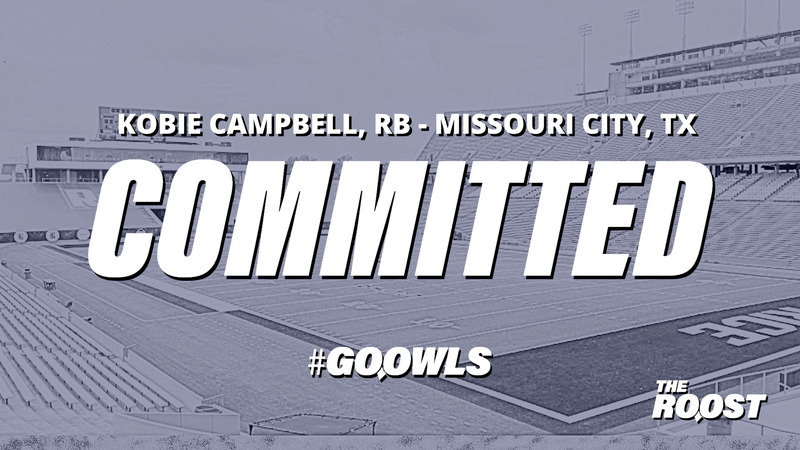 If Carroll was 6-foot-1 (he’s 5-foot-11) the Owls wouldn’t have been able to sign him. The knock on him is his height, which he more than makes up for with a quick first step and explosive instincts. He’s going to be scary teamed up with Izeya Floyd in the middle of the defensive line. The offensive line was a work in progress last season and only truly started to gel in the final weeks of 2018. If the offense wants to take a step forward, they need better protection in the passing game and better blocking for their backs. Rice is addressing that problem by signing two graduate transfers on the offensive line in the 2019 class. While the younger guys continue to develop and get stronger, this battle-tested pair (including early signee Nick Leverett) have the ability to catapult this entire unit forward significantly. All of a sudden a unit which had several question marks with the departures of Joseph Dill and Sam Pierce could become one the team’s biggest strengths. 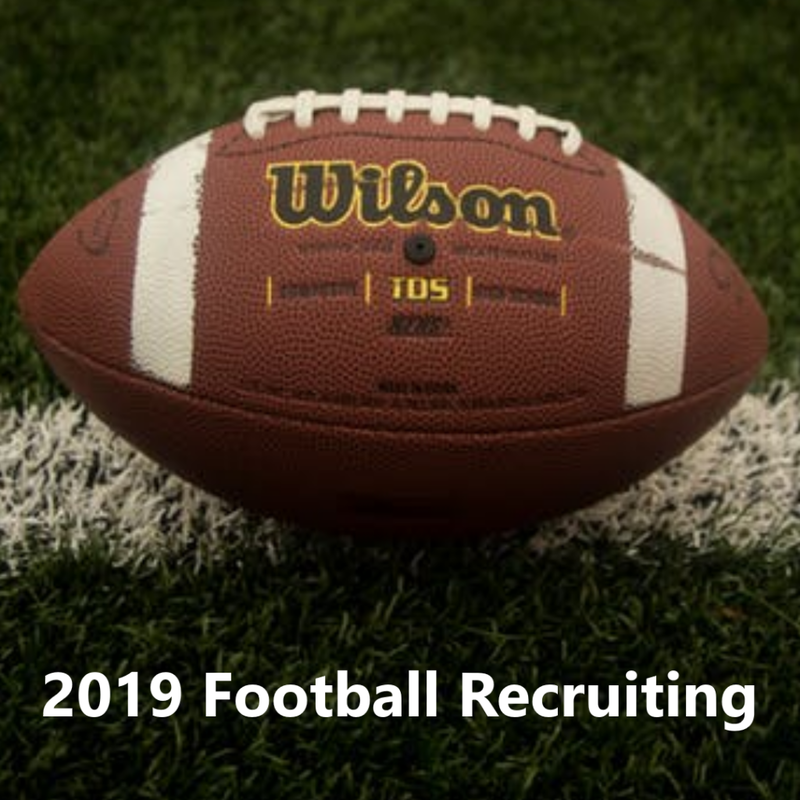 National Signing Day is here and the 2019 Rice football class is being finalized. Here are the latest news and updates as they come in. Progress is being made on multiple fronts concerning potential grad transfers. There isn’t likely to be another announcement today, but there are a few guys that are varying degrees of close to coming on board. Bloomgren confirmed during his press conference this afternoon the 2019 class is not yet complete. There are a handful of grad transfer targets still out there which the staff is working to finalize in addition to the ones who have signed thus far. With the addition of Chaffin, the 2019 signing class is up to 21 players. That leaves Rice with four open spots for this class but National Signing Day isn’t over yet. There should be at least a few more commitments coming down the pipe, if not today, then in the coming weeks. 11:29 a.m. – Stanford transfer Brian Chaffin has committed to Rice. 11:06 a.m. – Tom Stewart is in. All three of the expected high school additions have submitted their Letter of Intent. We’re stilling waiting on an official announcement on Harvard transfer Tom Stewart. Word on his addition should come around lunch time. He won’t be the only additional name added to this class by late afternoon. 9:31 a.m. – De’Braylon Carroll has sent in his Letter of Intent. Two signatures in so far from a pair of committed players. We’re still waiting on two more commits and should sign another few prospects who have not made a public announcement yet. More to come. 8:15 a.m. – Jovoni Johnson has sent in his Letter of Intent. 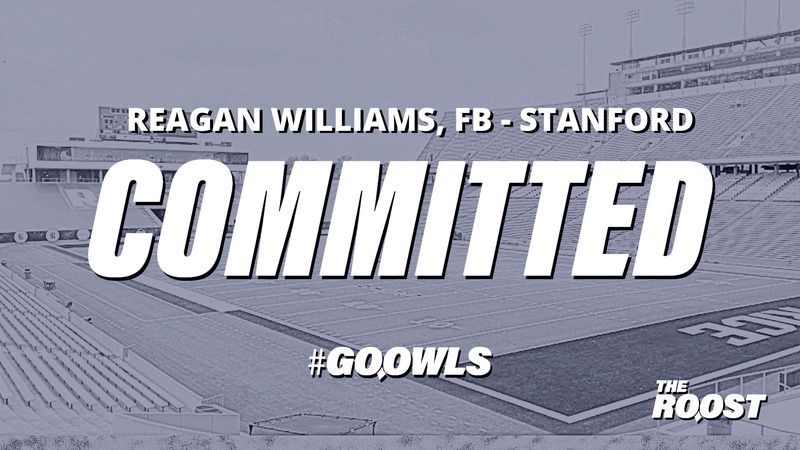 7:51 a.m. – Myron Morrison has sent in his Letter of Intent. Here we go. First signature could be coming in any time now. Hurry up and wait. Letters of intent can be sent in starting at 8:00 a.m. local times. That means we could see things start rolling as early as 7:00 a.m. CT.
Rice has four players committed players expected to sign on National Signing Day. All four have solidified their commitments in the past month, leaving little concern among the staff that any sort of 11th-hour defection might occur this time around. If things go to plan, we’ll see signatures from quarterback Jovoni Johnson, quarterback Tom Stewart, linebacker Myron Morrison and defensive tackle De’Braylon Carroll. On the eve of National Signing Day, we made predictions for which additional names could jump on board here. As the 2019 class started to close, Rice sent out a flurry of offers for 2020. This was the first batch of offers Rice had extended to anyone out of the 2019 class. Notable names include Bishop Lynch safety Plae Wyatt and Tomball Memorial wideout Logan Kyle. Expect things to pick up on that front in short order. Khevin Brewer leads off B-8 with a long double to center and comes around to score on the sac fly by Dominic Cox. Rice leads 10-0. Drake Greenwood retires Middle Tennessee in order in T-8. Rice still leads 9-0 going to B-8. Rice is retired in order in B-6. Matt Canterino back out in T-7 with Rice leading 9-0. 🚨Breaking news on a milestone accomplishment!